Below, find things that feed me: art, people, places and things. 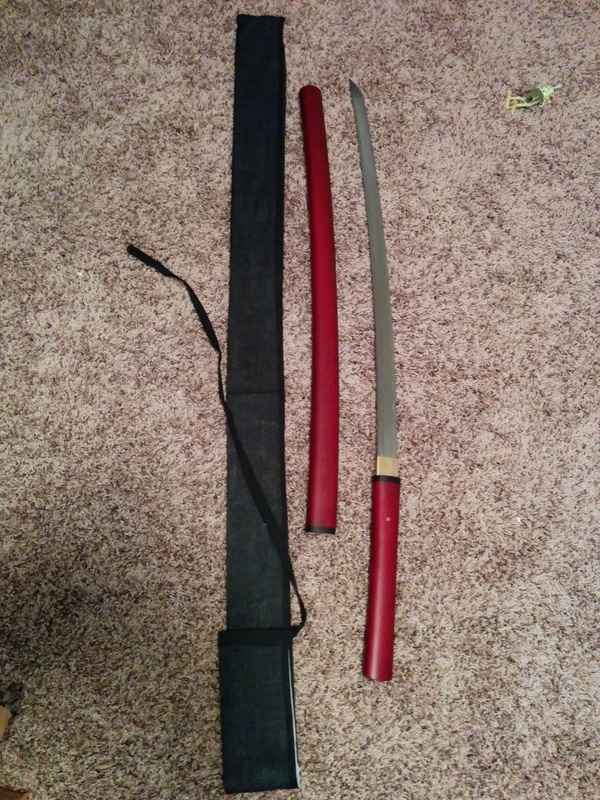 My brother, for reasons I cannot figure out other than he is just that kind of thoughtful, cool guy, bought me a real samurai sword for Christmas. (Young ones: you must be 21-years-tall to acquire one. Sorry. But the wait will be worth it.) Sharp as a razor, with a seamless rosewood handle and scabbard, it is a thing of beauty. I admit to having my share of knives (a romantic pursuit since childhood), and I still have slung across my desk chair my 14′ bullwhip, as well as a new Red Ryder in the rafters of my garage. However, even if it had occurred to me, I don’t think I could have maneuvered into getting one on my own. I don’t know what I will do with it, exactly, but for the time being I am loving simply running my palms across its smooth hardwood, and feeling its balance as I carry it (in scabbard, of course) about the house. Oh, yea. Pseudo samurai. 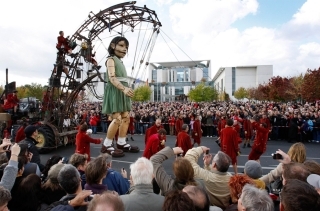 The Berlin Reunion was a puppet piece performed in the streets AND waters of Berlin a few years back.